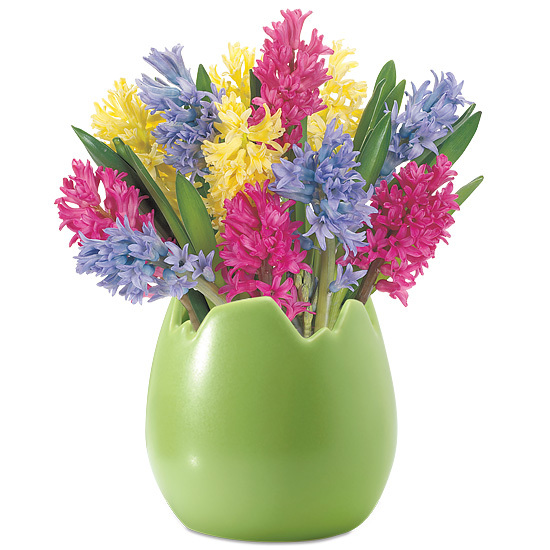 Totally fun, fragrant and colorful; this bouquet of hyacinth’s is an eggcellent way to wish friends, family and co-workers a happy Easter or spring. 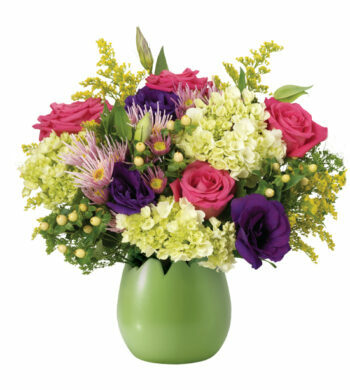 Features saturated blue, pink and yellow flowers. 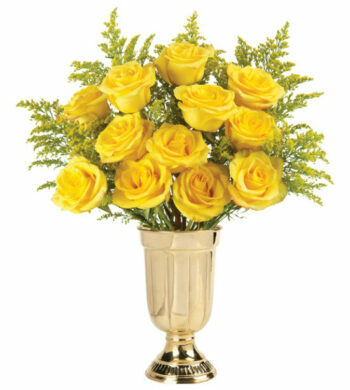 For a festive finishing touch, we’re featuring it in our green ceramic egg vase. Remove all foliage that will fall below the water line. Do not be surprised if the presence of dirt is uncovered. Hyacinth is a bulb flower and this is common. Don’t be afraid to cut! 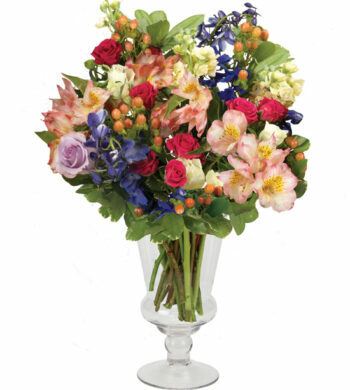 Your bouquet will look good with the different floral varieties in varying lengths or simply cluster them and display in a shorter vessel. 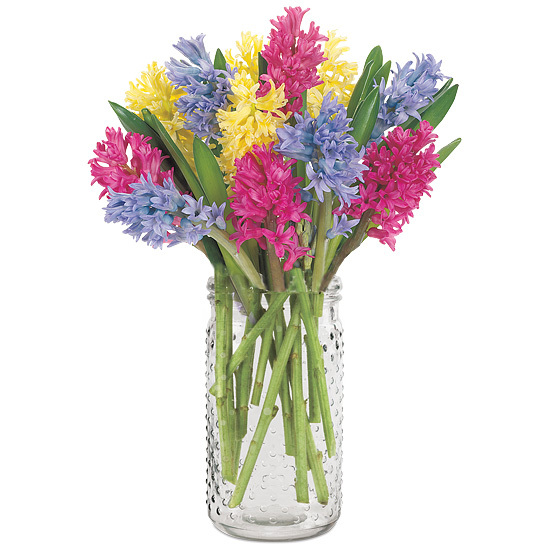 Hyacinths may look a bit tired or shriveled upon arrival. Don’t despair! 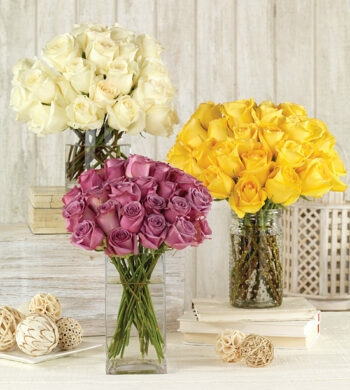 They’re healthy – just thirsty…they will rehydrate and perk up within 24 hours after you cut their stems. IMPORTANT! Always add fresh water daily. Change water and recut stems every other day.